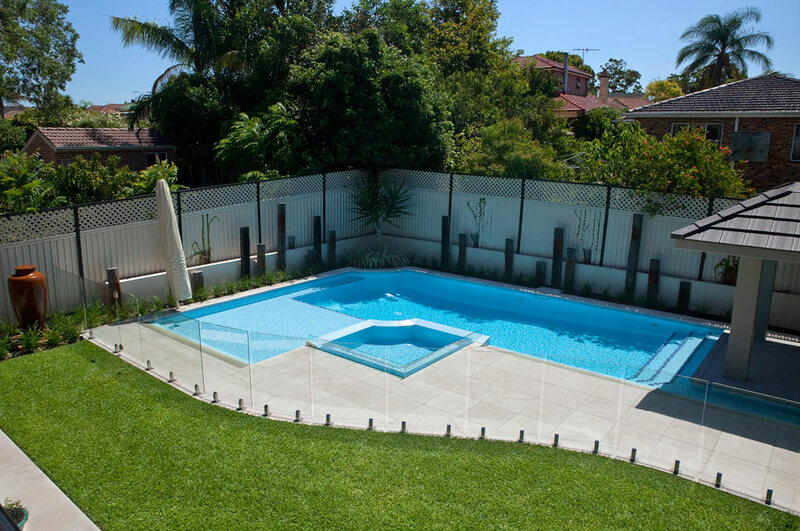 This beautiful swimming pool combines a large shallow wading/beach area for the children, a raised Spa pool with a glass blade and shaded lounging area. 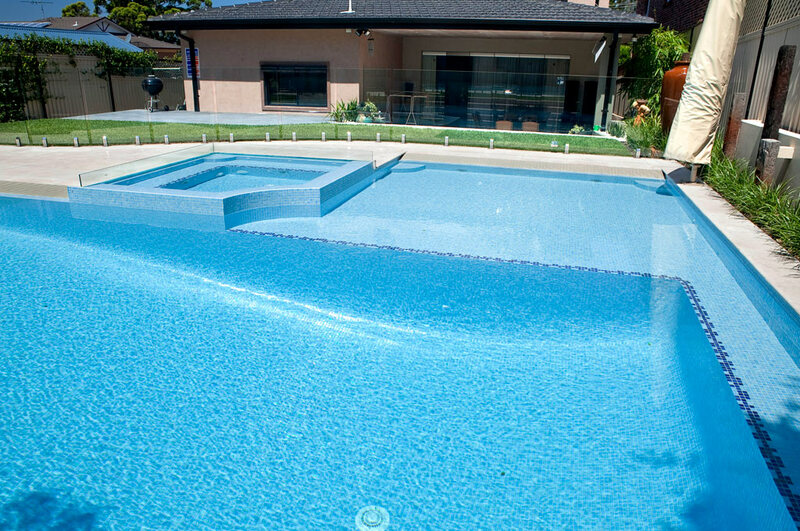 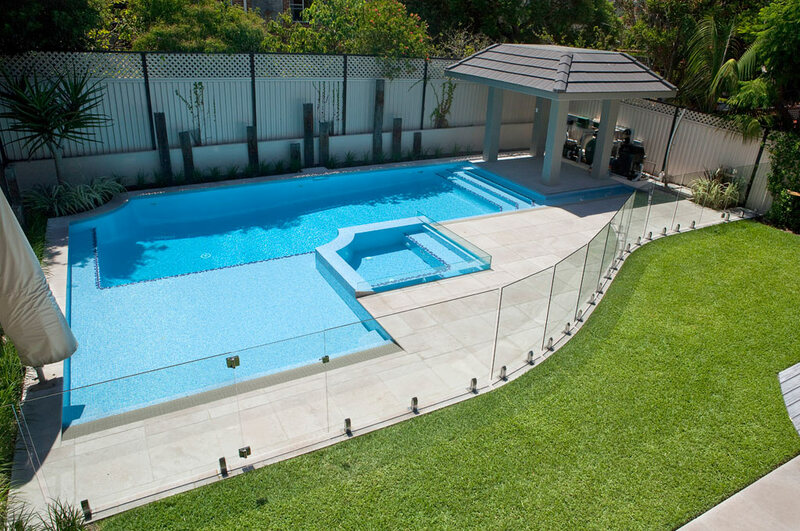 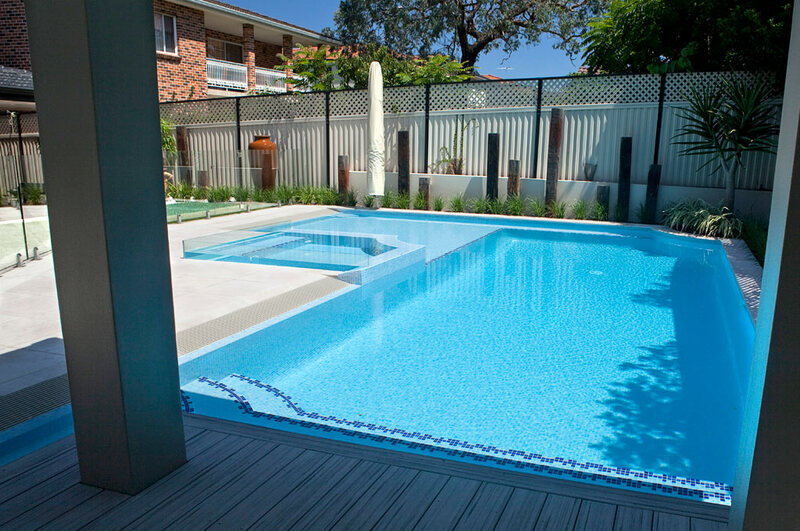 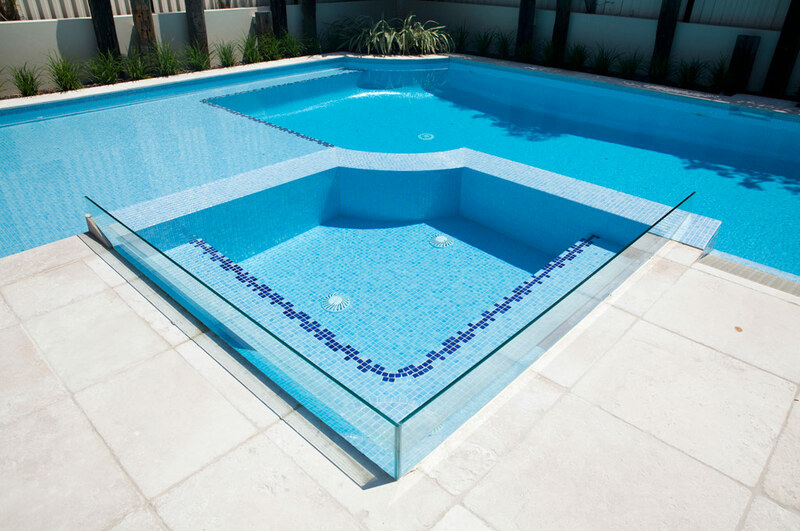 The glass edging on the spa pool gives a contemporary feel and provides a focal point. 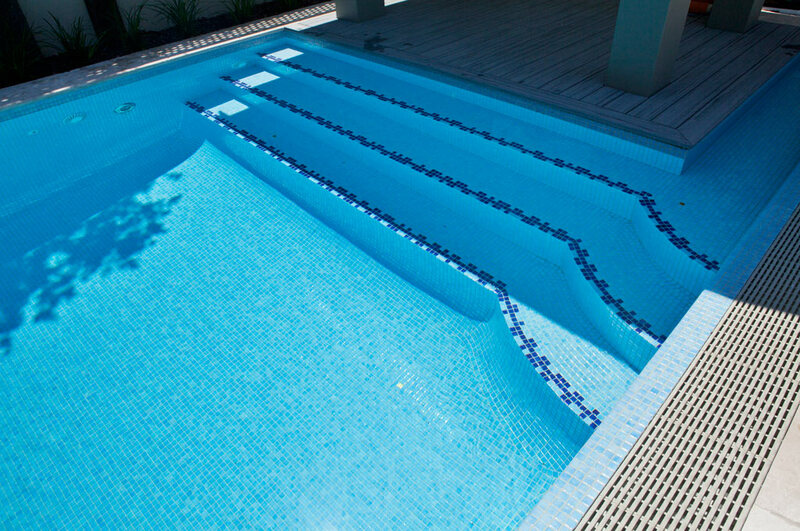 The Spa pool has a high level of equipment with a huge 450 Viron Gas heater to enable the spa temperature quickly. 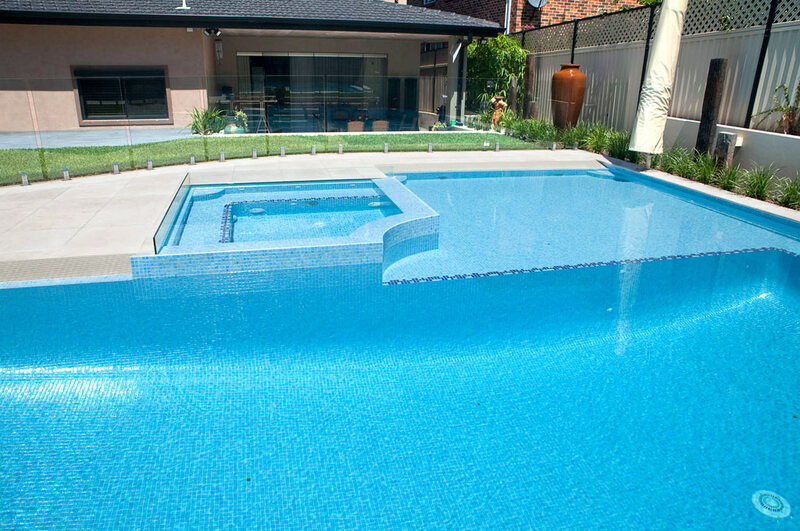 Along with an Air Blower and a Booster pump driving the Spa jets, this really is a project that anyone would be proud of.